Massachusetts, Roland Fryer, and a “Two-tiered System of Standardized Testing”? On November 17, 2015, the Massachusetts Board of Elementary and Secondary Education (BESE) will vote on either the PARCC assessments or the Massachusetts Comprehensive Assessment System (MCAS) as the statewide assessment system for Massachusetts. In 2015, districts were able to decide on either PARCC or MCAS, with over half using PARCC. Massachusetts commissioner Mitchell Chester chairs the governing board of the struggling PARCC consortium, and in November 2015, he is to make a formal recommendation to BESE on which assessment system to choose. Meanwhile, Massachusetts governor Charlie Baker has made two new appointments to BESE. 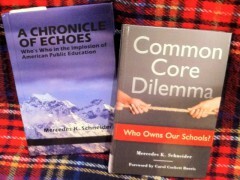 One is Michael Moriarty, a Holyoke education and community development expert. The other is Harvard University economist Roland Fryer, who was (hmmm…) promoted from assistant professor to full professor after a single year on the Harvard University faculty (and skipping right over associate professor, to boot). We are an eclectic collection of scientists, educators, and implementers with diverse backgrounds and vast experience, generating ideas and implementing experiments that have the potential to transform education. Edlabs has no political affiliation or agenda to promote. We squeeze truths from data. People may not always like what we discover, but we will disseminate our results no matter what we find. On the same web page EdLabs lists five “stakeholders.” Among them is Condoleeza Rice, former secretary of state who now leads former Florida governor and Republican presidential hopeful Jeb Bush’s corporate-reform-promoting nonprofit, Foundation for Excellence in Education (FEE). A second EdLabs stakeholder is former New York City chancellor, Joel Klein, who with Rice co-authored a weak “A Nation at Risk” substitute in March 2012. After his stint in trying to privatize NYC public education, Klein left to lead Rupert Murdoch’s ed division, Amplify– a losing venture that Murdoch dumped after it lost $371 million this year alone. According to Fryer’s curriculum vitae, Fryer served under Klein as the “chief equality officer” for the NYC Department of Education for a year (2007-08), which happens to be the same year that Fryer made that remarkable jump from assistant professor to full professor. A third notable EdLabs stakeholder is billionaire Eli Broad, whose most recent privatizing effort involves pushing to convert half of Los Angeles’ schools to charters. Then there are EdLabs “Partners in Innovation,” a Who’s Who in test-score-driven, market-serving, ed “reform,” including Teach for America (TFA), the Eli and Edythe Broad Foundation, the Bill and Melinda Gates Foundation, the Laura and John Arnold Foundation, the Joyce Foundation, Pritzker Foundation, and Robin Hood Foundation. Given that there is an established connection between standardized test scores and student family income (see here, and here, and here, for example), what Fryer is advocating is that standardized testing become “education” for poorer American children. “School Quality” Fryer-style must be a euphemism for a lower-income-student daily dose of standardized testing. Then comes the issue of what “passed the test” means. What test? PARCC, with its higher failure rate? Even Massachusetts will take a hit on PARCC– with disadvantaged groups taking the hardest hit. “Passed the test” is not objective. “Passed the test” depends upon the selected test and the selected cut scores– both of which are little more than hyper-marketed political tools for an obscenely-financed status quo that clearly includes Fryer. I am shuddering and seething with anger. My son attends a school that Mr. Fryer would have maintain high levels of testing in lieu of holistic learning. I look at each of these kids and the wonderful books they each created at the end of last year and think about the arrogant men of wealth who would take that experience and learning away from them. The veil is slipping away from these mad minds as they speak what they really mean. Certain wealthier and whiter children living in certain area codes should have access to lovely deep engaging curriculum. The rest of us should not. This summer I had the unique and wonderful experience of attending the International Society of Language Studies in New Mexico where I met and heard from a variety of New Mexican Native Tribes who have looked to Maria Montessori and Reggio Emilio for ideas on how to teach their own children- ideas and practices that are in tune with their own values of love and connection. Guess what? They are using progressive education to inform their community schools and teach their children their languages and traditions, inquiry, participation and leadership. I wonder what kind of testing Mr. Fryer would rather have them do. This is frightening on so many levels. A list of people who want to control the world — and with the Harvard brand. Is Tony Wagner part of this? So much for rigor, relevance, and relationships. No agenda, huh? “…generating ideas and implementing experiments that have the potential to transform education” – sounds like one to me! Also, who one aligns themselves with reveals a great deal about what they are up to. Yikes…willful ignorance or willful deception? The only virtue is this scheme is that it makes very, very clear how social class trumps race and how major foundations and Harvard use race to forward “let’s pretend” equity. You have correctly surmised that Fryer has been installed as a front and point-person for more more tracking and testing of low income students and students of color, the same agenda forwarded by all of those foundations and by the main lobby for the testing industry and Common Core, namely the Education Trust. Don’t know how you mange this kind of investigation and full time teaching, but this is important work. Thank you. Do you mean as in never a part of the solution? For those of us in MA, and particularly Boston, it’s been a rough few days. Yesterday, the BPS announced a “One Boston” assignment scheme à la “One Newark”. It’s one application for school enrollment for both charter and public schools. Of course, charters can opt in to be included or not, but neighborhood schools have no choice. Seems a nifty-gilifty way for our pro-charter mayor and pro-charter governor and pro-charter state school board to send more kids away from BPS schools. No mention of what happens to our ELL’s or SWD’s with high needs, ’cause the charters don’t have programming for them. Of course, our Broadie school superintendent Tommy Chang comes to us from LAUSD’s iPad fiasco and Green Dot chaters schools. TFA’s have begun their infiltration of school department HQ, naturally, including Doannie Tran, newly-appointed Assistant Superintendent of Professional Learning in BPS and at least one TFA principal with scant classroom experience. Chang’s chief of staff is from Families for Excellent Schools and Barbara Deane-Williams, another Broadie, is his new Senior Deputy Superintendent of Operations. The OBVIOUS Corporate Education Reform movement’s spider-web of deception and manipulation revealed. You’d think a Harvard Professor would base his career choices on the results of primary sources, not ideology and moneyed influence. What does an economics professor or his Edlab sponsors like Eli Broad know about long-standing scientific research in K12 education? And his proposal for a two-tiered testing system is morally repugnant. On so many levels Roland Fryer’s hypocracy is scandelous. Not when the elites want to promote an ideology devoid of critical thinking or moral theory. rbeckley, his research goes far beyond testing. Mercedes has linked to my post above which links to his research on paying students for grades, on “acting white,” on the link between student performance and teacher experience and school funding, and so forth. Mercedes, Thanks for the link. I do think Fryer’s Board presence is a danger far beyond the PARCC/MCAS vote in November. His research (I should put that in quotes) on the link of school funding levels and student performance is particularly a concern to be as we reconsider our funding system in Massachusetts. His research on “acting white” leads us away from integrated schools. And because he is a Harvard economics professor, he’ll simply be able to guide many who won’t look more deeply at his research. 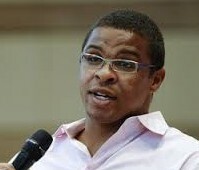 Roland Fryer’s “experiments” in the Houston ISD are nothing to brag about. As a taxpayer and Ed.D. I am appalled by his arrogance about his work in Houston. I also am now somewhat skeptical about anything education related that comes out of Harvard. Harvard has sold out to the 1%. At least the hypocrisy of the deformers is out in the open! I read Roland Fryer’s quote aloud at a LULAC meeting. It’s sinking in that the testing and charter maniacs are at the very least classist, with no heart for English Language Learners. Evidently the national group simply asked the USDOE who promised the tests were good for everybody. Now they’re getting feedback.